DRY LINING | Dry lining is used to hide unsightly or uneven walls. At BW Plastering & Dryliners we are able to provide our customers with a hassle free and cost effective drylining service. 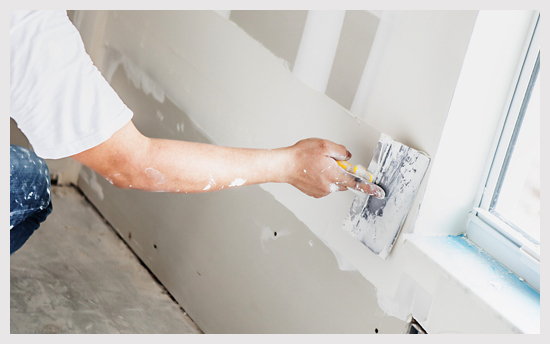 Dry lining is ideal for both new build and refurbishments as it is used to hide unsightly or uneven walls and can make them look just like new giving the look of a fresh newly plastered wall. The dry lining process consists of sticking plasterboard to walls using a dry wall adhesive that will leave a flat surface ready to apply the finishing plaster or skim. Dry lining is a popular method that is commonly used on new builds due to the speed it can be applied and the cleanliness of the application process. If you would like further information on our dry lining service then please feel free to contact a member of BW Plasterers & Dryliners today and we will be happy to assist you further.